Since the it was Greeks who made the lists it is not unusal that many of the items on them were examples of Greek culture. The writers might have listed the Great Wall of China if then had known about it, or Stonehenge if they'd seen it, but these places were beyond the limits of their world. 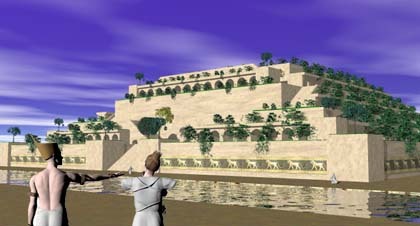 The city of Babylon, under King Nebuchadnezzar II, must have been a wonder to the ancient traveler's eyes. "In addition to its size," wrote Herodotus, a Greek historian in 450 BC, "Babylon surpasses in splendor any city in the known world." Herodotus claimed the outer walls were 56 miles in length, 80 feet thick and 320 feet high. Wide enough, he said, to allow two four-horse chariots to pass each other. The city also had inner walls which were "not so thick as the first, but hardly less strong." Inside these double walls were fortresses and temples containing immense statues of solid gold. 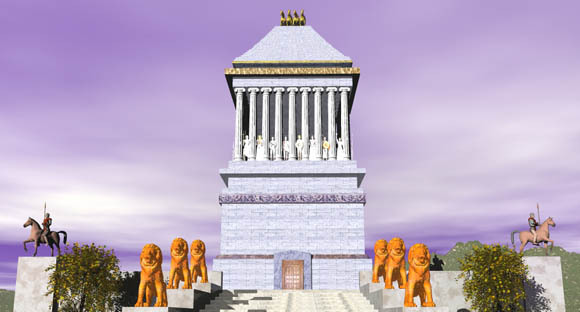 Rising above the city was the famous Tower of Babel, a temple to the god Marduk, that seemed to reach to the heavens. Other: Only wonder whose archaeological remains cannot be verified. While archaeological excavations have disputed some of Herodotus's claims (the outer walls seem to be only 10 miles long and not nearly as high) his narrative does give us a sense of how awesome the features of the city appeared to those ancients that visited it. Strangely, however, one of the city's most spectacular sites is not even mentioned by Herodotus: The Hanging Gardens of Babylon, one of the Seven Wonders of the Ancient World. Accounts indicate that the garden was built by King Nebuchadnezzar, who ruled the city for 43 years starting in 605 BC (There is an alternative story that the gardens were built by the Assyrian Queen Semiramis during her five year reign starting in 810 BC). This was the height of the city's power and influence and King Nebuchadnezzar is known to have constructed an astonishing array of temples, streets, palaces and walls. According to accounts, the gardens were built to cheer up Nebuchadnezzar's homesick wife, Amyitis. Amyitis, daughter of the king of the Medes, was married to Nebuchadnezzar to create an alliance between the two nations. The land she came from, though, was green, rugged and mountainous, and she found the flat, sun-baked terrain of Mesopotamia depressing. The king decided to relieve her depression by recreating her homeland through the building of an artificial mountain with rooftop gardens. The Hanging Gardens probably did not really "hang" in the sense of being suspended from cables or ropes. The name comes from an inexact translation of the Greek word kremastos, or the Latin word pensilis, which means not just "hanging", but "overhanging" as in the case of a terrace or balcony. Strabo touches on what, to the ancients, was probably the most amazing part of the garden. Babylon rarely received rain and for the garden to survive, it would have had to been irrigated by using water from the nearby Euphrates River. That meant lifting the water far into the air so it could flow down through the terraces, watering the plants at each level. This was an immense task given the lack of modern engines and pressure pumps in the fifth century B.C.. One of the solutions the designers of the garden may have used to move the water, however, was a "chain pump." A chain pump is two large wheels, one above the other, connected by a chain. On the chain are hung buckets. Below the bottom wheel is a pool with the water source. As the wheel is turned, the buckets dip into the pool and pick up water. The chain then lifts them to the upper wheel, where the buckets are tipped and dumped into an upper pool. The chain then carries the empty buckets back down to be refilled. The pool at the top of the gardens could then be released by gates into channels which acted as artificial streams to water the gardens. The pump wheel below was attached to a shaft and a handle. By turning the handle, slaves provided the power to run the contraption. An alternate method of getting the water to the top of the gardens might have been a screw pump. This device looks like a trough with one end in the lower pool from which the water is taken with the other end overhanging an upper pool to which the water is being lifted. Fitting tightly into the trough is a long screw. As the screw is turned, water is caught between the blades of the screw and forced upwards. 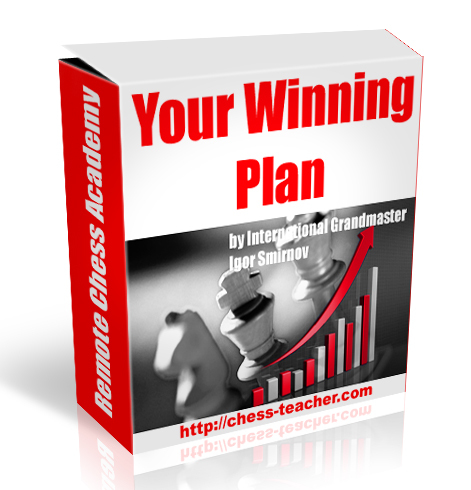 When it reaches the top, it falls into the upper pool. Turning the screw can be done by a hand crank. A different design of screw pump mounts the screw inside a tube, which takes the place of the trough. In this case the tube and screw turn together to carry the water upward. Screw pumps are very efficient ways of moving water and a number of engineers have speculated that they were used in the Hanging Gardens. Strabo even makes a reference in his narrative of the garden that might be taken as a description of such a pump. One problem with this theory, however, is that there seems to be little evidence that the screw pump was around before the Greek engineer Archimedes of Syracuse supposedly invented it around 250 B.C., more than 300 years later. VIDEO: Screw pump vs. chain pump. Copyright Lee Krystek, 2011. Construction of the garden wasn't only complicated by getting the water up to the top, but also by having to avoid having the liquid ruining the foundations once it was released. Since stone was difficult to get on the Mesopotamian plain, most of the architecture in Babel utilized brick. The bricks were composed of clay mixed with chopped straw and baked in the sun. These were then joined with bitumen, a slimy substance, which acted as a mortar. Unfortunately, because of the materials they were made of, the bricks quickly dissolved when soaked with water. For most buildings in Babel this wasn't a problem because rain was so rare. However, the gardens were continually exposed to irrigation and the foundation had to be protected. How big were the gardens? 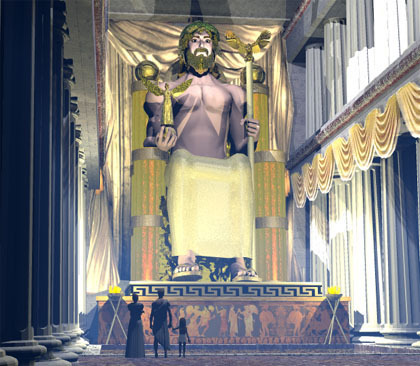 Diodorus tells us they were about 400 feet wide by 400 feet long and more than 80 feet high. Other accounts indicate the height was equal to the outer city walls, walls that Herodotus said were 320 feet high. An interpretation of the gardens by the 16th century Dutch artist Martin Heemskerck. In any case the gardens were an amazing sight: A green, leafy, artificial mountain rising off the plain. But did it actually exist? Some historians argue that the gardens were only a fictional creation because they do not appear in a list of Babylonian monuments composed during the period. Either that or they were mixed up with another set of gardens built by King Sennacherib in the city of Nineveh around 700 B.C.. Is it possible that Greek scholars who wrote the accounts about the Babylon site several centuries later confused these two different locations? 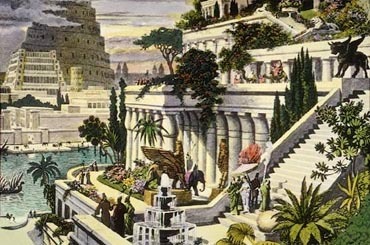 If the gardens really were in Babylon, can the remains be found to prove their existance? These were probably some of the questions that occurred to German archaeologist Robert Koldewey in 1899. For centuries the ancient city of Babel had been nothing but a mound of muddy debris never explored by scientists. Though unlike many ancient locations, the city's position was well-known, nothing visible remained of its architecture. Koldewey dug on the Babel site for some fourteen years and unearthed many of its features including the outer walls, inner walls, foundation of the Tower of Babel, Nebuchadnezzar's palaces and the wide processional roadway which passed through the heart of the city. While excavating the Southern Citadel, Koldewey discovered a basement with fourteen large rooms with stone arch ceilings. Ancient records indicated that only two locations in the city had made use of stone, the north wall of the Northern Citadel, and the Hanging Gardens. The north wall of the Northern Citadel had already been found and had, indeed, contained stone. This made Koldewey think that he had found the cellar of the gardens. He continued exploring the area and discovered many of the features reported by Diodorus. Finally, a room was unearthed with three large, strange holes in the floor. Koldewey concluded this had been the location of the chain pumps that raised the water to the garden's roof. The foundations that Koldewey discovered measured some 100 by 150 feet. This was smaller than the measurements described by ancient historians, but still impressive. While Koldewey was convinced he'd found the gardens, some modern archaeologists call his discovery into question, arguing that this location is too far from the river to have been irrigated with the amount of water that would have been required. Also, tablets recently found at the site suggest that the location was used for administrative and storage purposes, not as a pleasure garden. 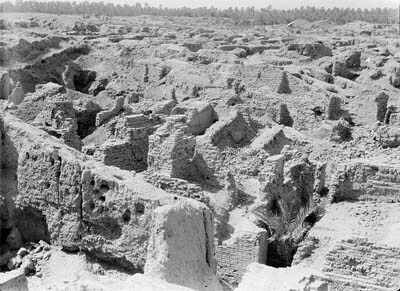 The ruins of the city of Babylon in 1932. If they did exist, what happened to the gardens? 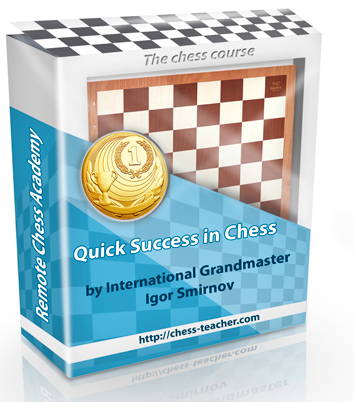 There is a report that they were destroyed by an earthquake in the second century B.C.. If so, the jumbled remains, mostly made of mud-brick, probably slowly eroded away with the infrequent rains. Whatever the fate of the gardens were, we can only wonder if Queen Amyitis was happy with her fantastic present, or if she continued to pine for the green mountains of her distant homeland. 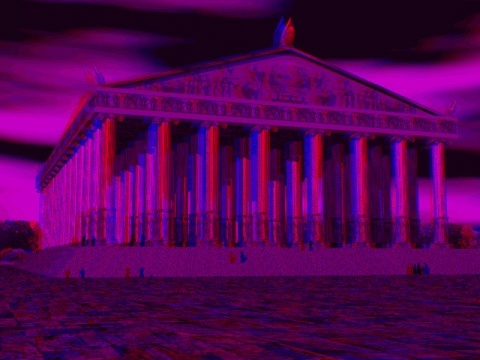 In ancient times one of the Greeks most mportant festivals, the Olympic Games, was held every four years in honor of the King of their gods, Zeus. Like our modern Olympics, athletes traveled from distant lands, including Asia Minor, Syria, Egypt and Sicily, to compete. The Olympics were first started in 776 B.C. 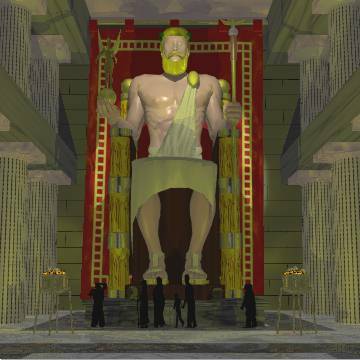 and held at a shrine to Zeus located on the western coast of Greece in a region called Peloponnesus. 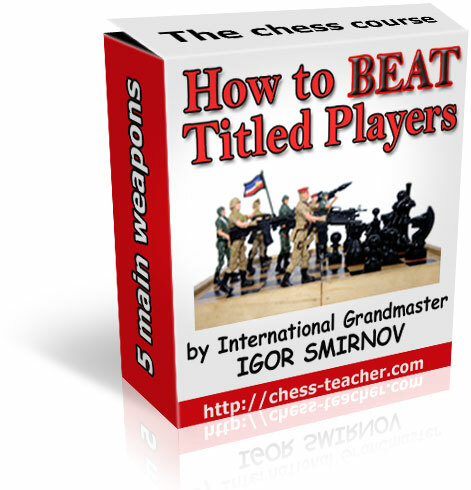 The games helped to unify the Greek city-states and a sacred truce was declared. Safe passage was given to all traveling to the site, called Olympia, for the season of the games. 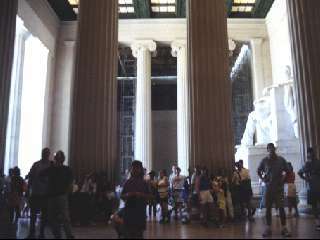 The Lincoln Memorial with its single large statue and columns probably is very much like the temple of Zeus except the statue of the King of the Gods was more than double the height of Lincoln. 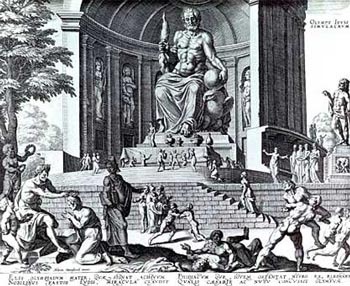 An engraving made by Philippe Galle in 1572 was his interpretation of the statue and its associated temple. 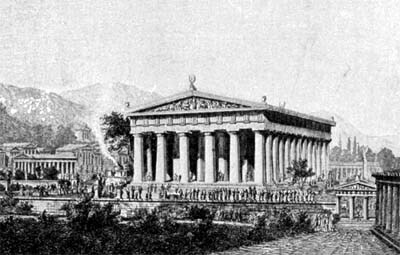 A 1908 artist's conception of the temple at Olympia in Greece. 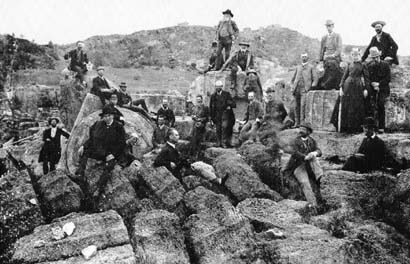 A 19th century expedition poses on the jumbled ruins of the Temple of Zeus. Today the stadium at the site has been restored. Little is left of the temple, though, except a few jumbled columns on the ground. Of the statue, which was perhaps the most wonderful work at Olympia, all is now completely gone. 1100 A.D.: A troop of Crusaders stops at a muddy little village in Asia Minor. Their leader looks around. 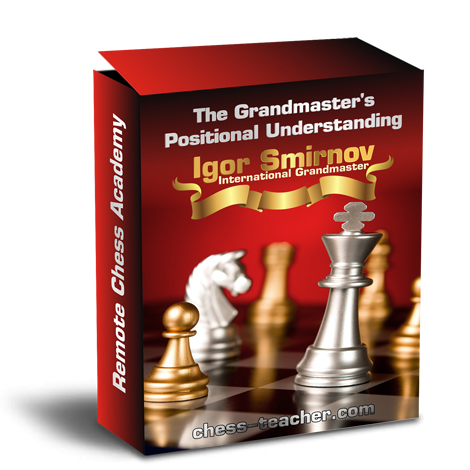 Confused he dismounts. This place is not what he expected. 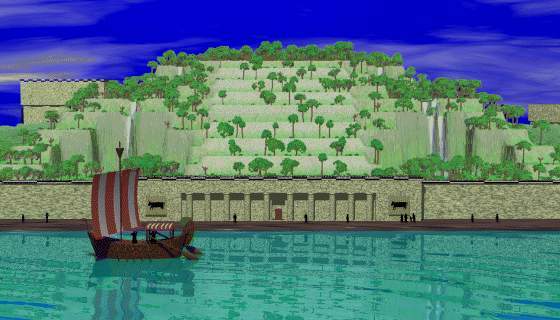 He read in the ancient texts that this was a large seaport with many ships docked in its bay. It isn't. The sea is almost three miles away. The village is located in a swamp. There are no ships to be seen. The leader accosts a nearby man. Now it is the man's turn to be confused. "Temple? What temple, Sir? We have no temple here..."
An 18th century engraving of the goddess Artemis of Ephesus. One of the column bases with carved figures preserved at the British Museum. 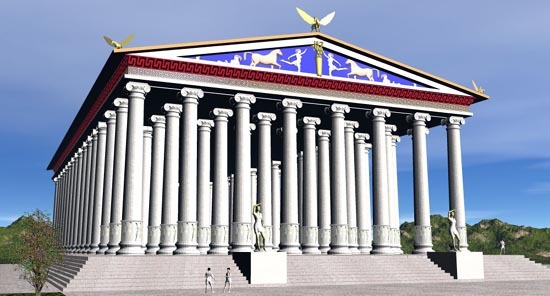 In 377 B.C., the city of Halicarnassus was the capitol of a small kingdom along the Mediterranean coast of Asia Minor. It was in that year the ruler of this land, Hecatomnus of Mylasa, died and left control of the kingdom to his son, Mausolus. Hecatomnus, a local satrap to the Persians, had been ambitious and had taken control of several of the neighboring cities and districts. Then Mausolus during his reign extended the territory even further so that it eventually included most of southwestern Asia Minor. Then in 353 B.C. Mausolus died, leaving his queen Artemisia, who was also his sister, broken-hearted (It was the custom in Caria for rulers to marry their own sisters). As a tribute to him, she decided to build him the most splendid tomb in the known world. 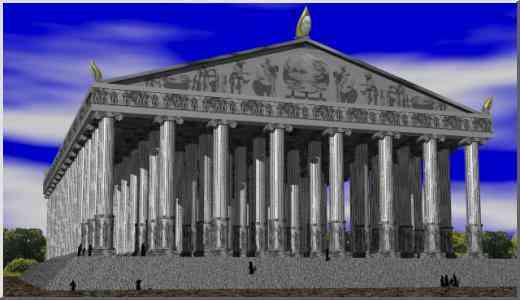 It became a structure so famous that Mausolus's name is now associated with all stately tombs throughout the world through the word mausoleum. The building, rich with statuary and carvings in relief, was so beautiful and unique it became one of the Seven Wonders of the Ancient World. Artemisia decided that no expense was to be spared in the building of the tomb. 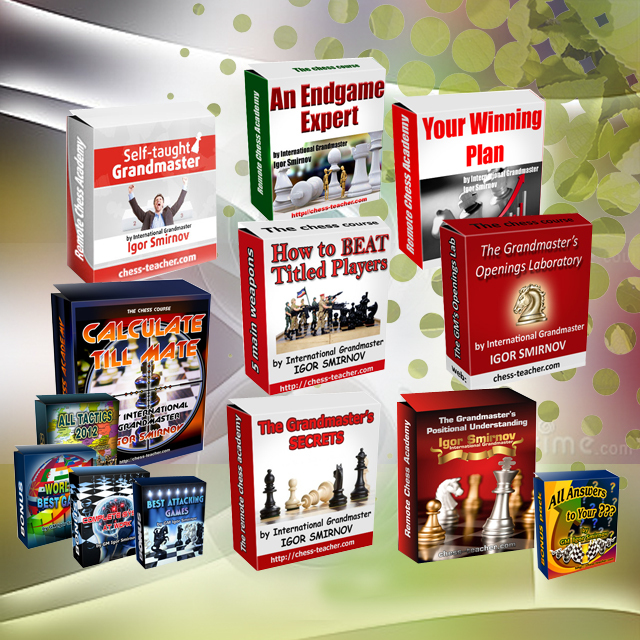 She sent messengers to Greece to find the most talented artists of the time. These included architects Satyros and Pytheos who designed the overall shape of the tomb. Other famous sculptors invited to contribute to the project were Bryaxis, Leochares, Timotheus and Scopas of Paros (who was responsible for rebuilding the Temple of Artemis at Ephesus, another of the wonders). According to the historian Pliny Bryaxis, Leochares, Timotheus and Scopas each took one side of the tomb to decorate. Joining these sculptors were also hundreds of other workmen and craftsmen. Together they finished the building in the styles of three different cultures: Egyptian, Greek and Lycian. The tomb was erected on a hill overlooking the city. The whole structure sat in the center of an enclosed courtyard on a stone platform. A staircase, flanked by stone lions, led to the top of this platform. Along the outer wall of the courtyard were many statues depicting gods and goddesses. At each corner stone warriors, mounted on horseback, guarded the tomb. 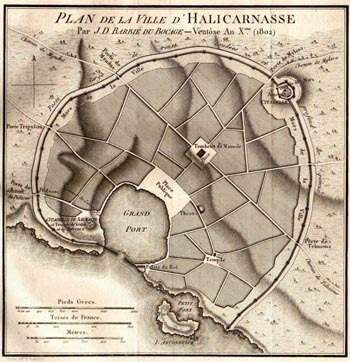 A map of the city of Halicarnassus drawn by the archeologist J D Barbié du Bocage in 1802 showing the tomb in the middle of the city. At the center of the platform was the tomb itself. Made mostly of marble, the structure rose as a square, tapering block to about one-third of the Mausoleum's 140 foot height. This section was covered with relief sculpture showing action scenes from Greek myth/history. One part showed the battle of the Centaurs with the Lapiths. Another depicted Greeks in combat with the Amazons, a race of warrior women. On top of this section of the tomb thirty-six slim columns rose for another third of the height. Standing in between each column was another statue. Behind the columns was a solid block that carried the weight of the tomb's massive roof. 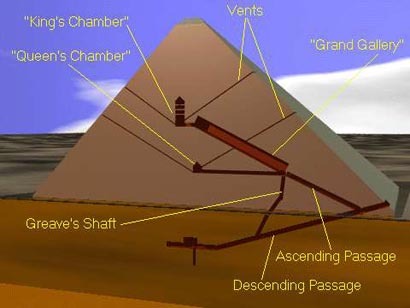 The roof, which comprised most of the final third of the height, was in the form of a stepped pyramid with 24 levels. Perched on top was the tomb's penultimate work of sculpture craved by Pytheos: Four massive horses pulling a chariot in which images of Mausolus and Artemisia rode. Soon after construction of the tomb started Artemisia found herself in a crisis. 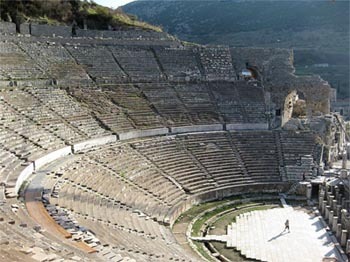 Rhodes, an island in the Aegean Sea between Greece and Asia Minor, had been conquered by Mausolus. 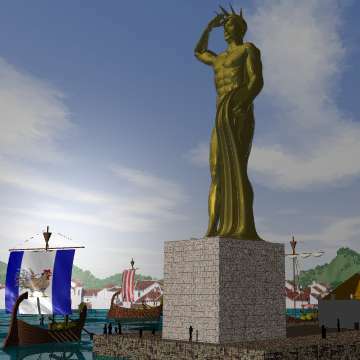 When the Rhodians heard of his death, they rebelled and sent a fleet of ships to capture the city of Halicarnassus. Knowing that the Rhodian fleet was on the way, Artemisa hid her own ships at a secret location at the east end of the city's harbor. After troops from the Rhodian fleet disembarked to attack, Artemisia's fleet made a surprise raid, captured the Rhodian fleet, and towed it out to sea. Artemisa put her own soldiers on the invading ships and sailed them back to Rhodes. Fooled into thinking that the returning ships were their own victorious navy, the Rhodians failed to put up a defense and the city was easily captured, quelling the rebellion. Artemisa lived for only two years after the death of her husband. Both would be buried in the yet unfinished tomb. According to Pliny, the craftsmen decided to stay and finish the work after their patron died "considering that it was at once a memorial of their own fame and of the sculptor's art." 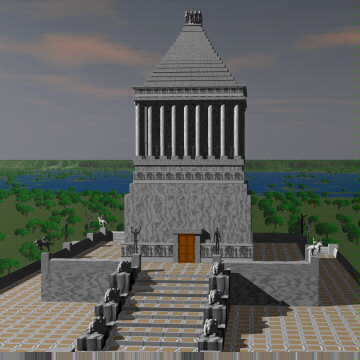 The Mausoleum overlooked the city of Halicarnassus for many centuries. 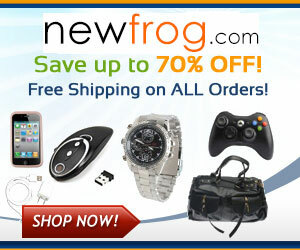 It was untouched when the city fell to Alexander the Great in 334 B.C. and was still undamaged after attacks by pirates in 62 and 58 B.C.. It stood above the city ruins for some 17 centuries. Then a series of earthquakes in the 13th century shattered the columns and sent the stone chariot crashing to the ground. 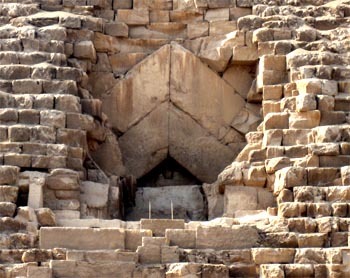 By 1404 A.D. only the very base of the Mausoleum was still recognizable. Crusaders, who had little respect for ancient culture, occupied the city from the thirteen century onward and recycled much of the building stone into their own structures. 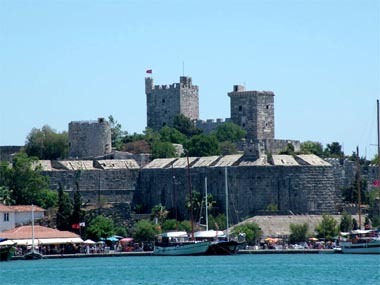 In 1522 rumors of a Turkish invasion caused Crusaders to strengthen the castle at Halicarnassus (which was by then known as Bodrum) and some of the remaining portions of the tomb were broken up and used within the castle walls. Indeed, sections of polished marble from the tomb can still be seen there today. At this time a party of knights entered the base of the monument and discovered the room containing a great coffin. Deciding it was too late to open it that day, the party returned the next morning to find the tomb, and any treasure it may have contained, plundered. The bodies of Mausolus and Artemisia were missing, too. The Knights claimed that Moslem villagers were responsible for the theft, but it is more likely that some of the Crusaders themselves plundered the graves. 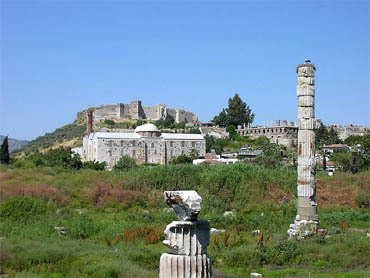 Before grounding much of the remaining sculpture of the Mausoleum into lime for plaster, the Knights removed several of the best works and mounted them in the Bodrum castle. There they stayed for three centuries. At that time the British ambassador obtained several of the statutes from the castle, which now reside in the British Museum. In 1846 the Museum sent the archaeologist Charles Thomas Newton to search for more remains of the Mausoleum. He had a difficult job. He didn't know the exact location of the tomb, and the cost of buying up all the small parcels of land in the area to look for it would have been astronomical. Instead, Newton studied the accounts of ancient writers like Pliny to obtain the approximate size and location of the memorial, then bought a plot of land in the most likely location. Digging down, Newton explored the surrounding area through tunnels he dug under the surrounding plots. He was able to locate some walls, a staircase, and finally three of the corners of the foundation. With this knowledge, Newton was able to figure out which additional plots of land he needed to buy. Newton then excavated the site and found sections of the reliefs that decorated the wall of the building and portions of the stepped roof. Also, a broken stone chariot wheel from the sculpture on the roof, some seven feet in diameter, was discovered. Finally, he found two statues which he believed were the ones of Mausolus and Artemisia which had stood at the pinnacle of the building. Ironically, the earthquake the toppled them to the ground saved them. They were hidden under sediment and thus avoided the fate of being pulverized into mortar for the Crusaders castle. 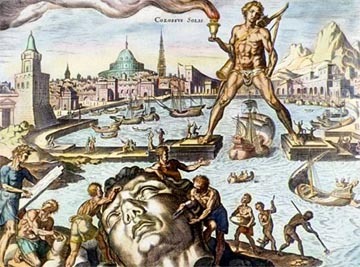 An engraving by Martin Heemskerck in 16th-century helped to establish the inaccurate harbor spanning pose in people's minds. 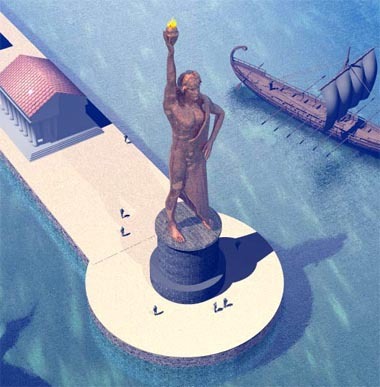 Plans to rebuild the Colossus of Rhodes has been discussed a number of times in the last fifty years. 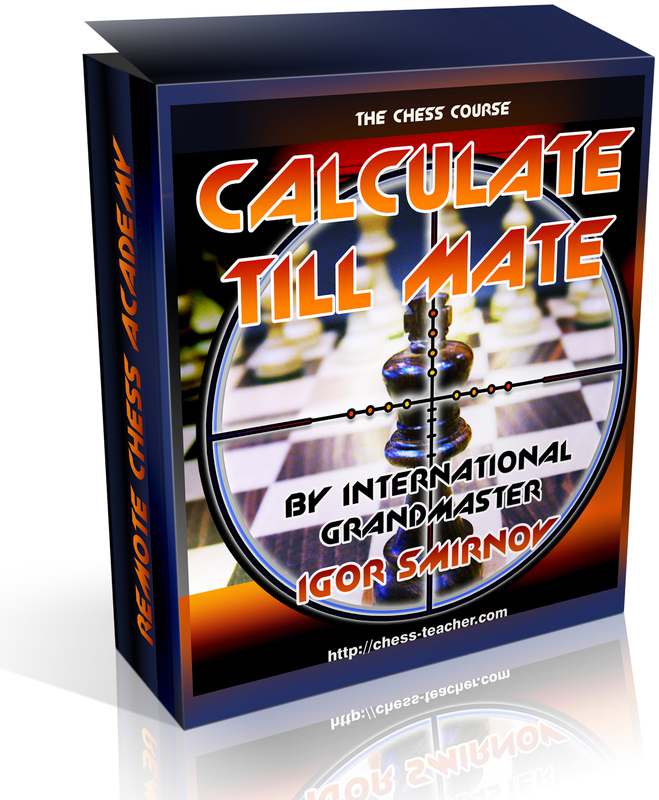 The most recent proposal came in 2008. 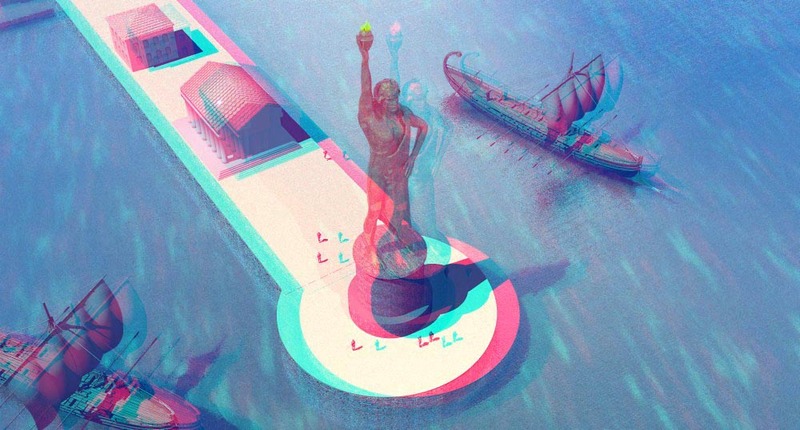 East German artist Gert Hof hopes to construct a new version of the statue to Helios. However, he does not wish to make it an exact replica. Instead it will stand up to three times as tall as the original and allow people to enter it. At night it will tell "stories" using an innovative light show. 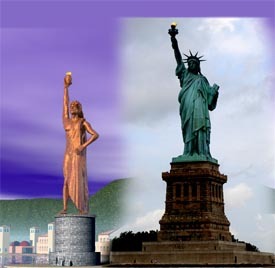 Comparing the Statue of Liberty with the Colossus: Though the bodies are the same size, Liberty stands higher because of the taller pedestal. In the fall of 1994 a team of archaeological divers donned scuba equipment and entered the waters off of Alexandria, Egypt. Working beneath the surface, they searched the bottom of the sea for artifacts. Large underwater blocks of stone and remnants of sculpture were marked with floating masts so that an electronic distance measurement station on shore could obtain their exact positions. Global positioning satellites were then used to further fix the locations. The information was then fed into computers to create a detailed database of the sea floor. Ironically, these scientists were using some of the most high-tech devices available at the end of the 20th century to try and sort out the ruins of one of the most advanced technological achievements of the 3rd century, B.C.. 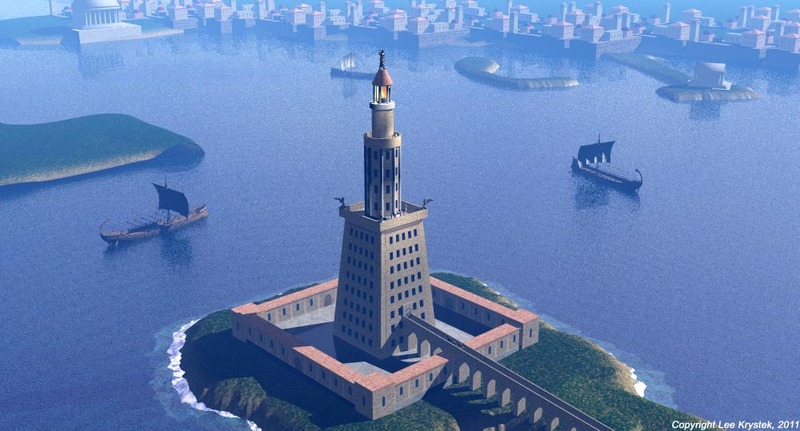 It was the Pharos, the great lighthouse of Alexandria, one of the Seven Wonders of the Ancient World. Function: Guide Ships to Alexandria's Harbor. Destroyed: 1303 AD by earthquake. 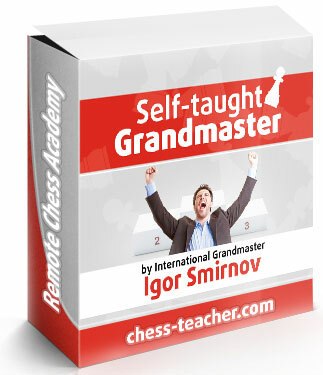 Made of: Stone faced with white marble blocks with lead mortar. Other: Said to be the only ancient wonder with a practical application. 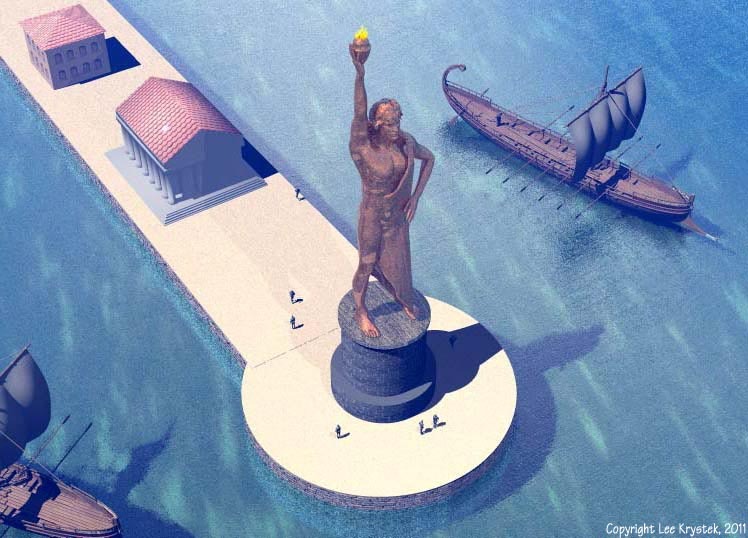 The story of the Pharos starts with the founding of the city of Alexandria by the Macedonian conqueror Alexander the Great in 332 B.C.. Alexander started at least 17 cities named Alexandria at different locations in his vast domain. Most of them disappeared, but Alexandria in Egypt thrived for many centuries and is prosperous even today. 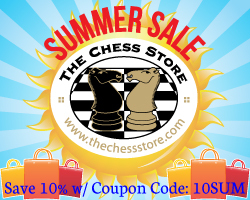 Alexander the Great chose the location of his new city carefully. 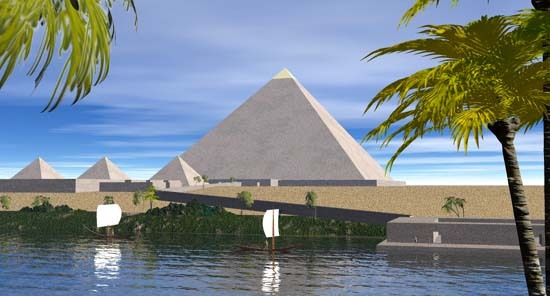 Instead of building it on the Nile delta, he selected a site some twenty miles to the west, so that the silt and mud carried by the river would not block the city harbor. South of the city was the marshy Lake Mareotis. After a canal was constructed between the lake and the Nile, the city had two harbors: one for Nile River traffic, and the other for Mediterranean Sea trade. Both harbors would remain deep and clear and the activity they allowed made the city very wealthy. A modern lighthouse often is designed as just a single, slim column, unlike the Pharos. Alexander died in 323 B.C. and the city was completed by Ptolemy Soter, the new ruler of Egypt. Under Ptolemy the city became rich and prosperous. However, it needed both a symbol and a mechanism to guide the many trade ships into its busy harbor. 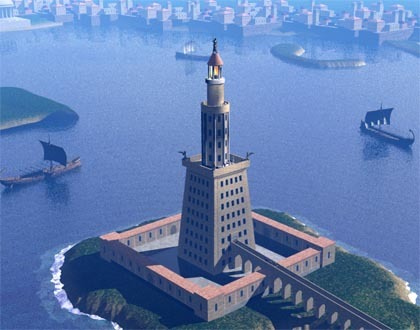 Ptolemy authorized the building of the Pharos in 290 B.C., and when it was completed some twenty years later, it was the first lighthouse in the world and the tallest building in existence, with the exception of the Great Pyramid. 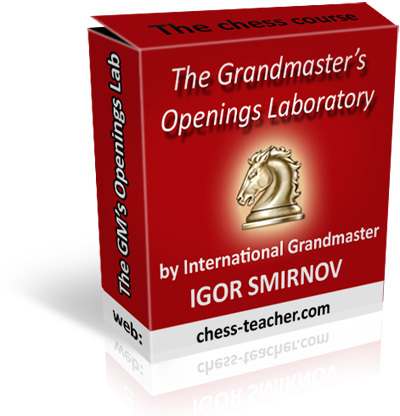 The construction cost was said to have been 800 talents, an amount equal today to about three million dollars. chiseled into the foundation, then covered it with plaster. Into the plaster was carved Ptolemy's name. As the years went by (and after both the death of Sostratus and Ptolemy) the plaster aged and chipped away, revealing Sostratus' dedication. 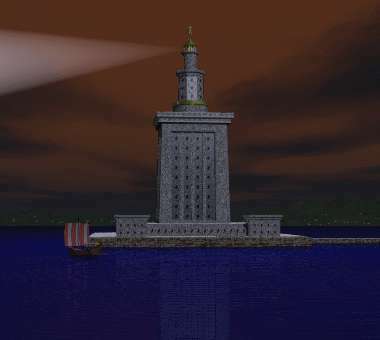 The lighthouse was built on the island of Pharos and soon the building itself acquired that name. 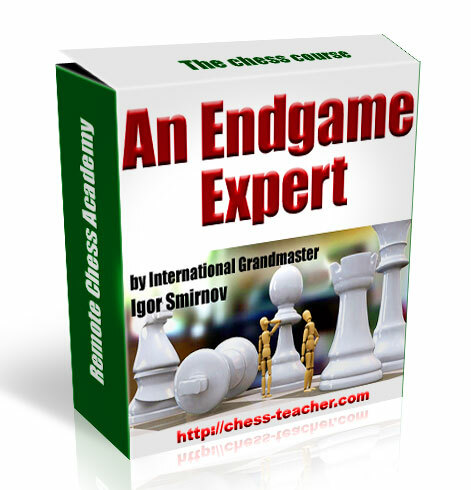 The connection of the name with the function became so strong that the word "Pharos" became the root of the word "lighthouse" in the French, Italian, Spanish and Romanian languages. There are two detailed descriptions made of the lighthouse in the 10th century A.D. by Moorish travelers Idrisi and Yusuf Ibn al-Shaikh. According to their accounts, the building was 300 cubits high. 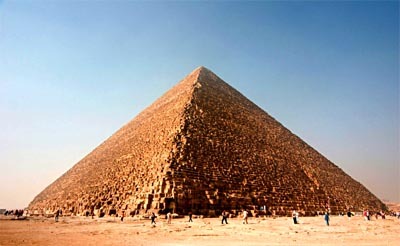 Because the cubit measurement varied from place to place, however, this could mean that the Pharos stood anywhere from 450 (140m) to 600 (183m) feet in height, although the lower figure is much more likely. 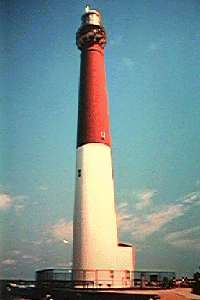 The design was unlike the slim single column of most modern lighthouses, but more like the structure of an early twentieth century skyscraper. There were three stages, each built on top of one other. The building material was stone faced with white marble blocks cemented together with lead mortar. The lowest level of the building, which sat on a 20 foot (6m) high stone platform, was probably about 240 feet (73m) in height and 100 feet (30m) square at the base, shaped like a massive box. The door to this section of the building wasn't at the bottom of the structure, but part way up and reached by a 600 foot (183m) long ramp supported by massive arches. Inside this portion of the structure was a large spiral ramp that allowed materials to be pulled to the top in animal-drawn carts. On top of that first section was an eight-sided tower which was probably about 115 feet (35m) in height. On top of the tower was a cylinder that extended up another 60 feet (18m) to an open cupola where the fire that provided the light burned. 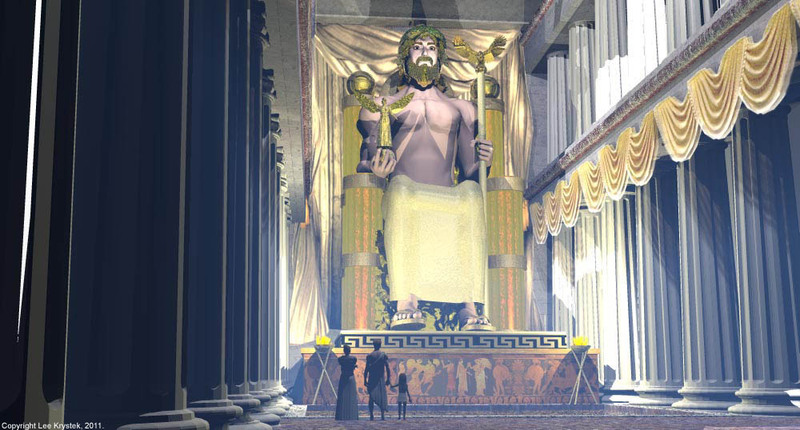 On the roof of the cupola was a large statue, probably of the god of the sea, Poseidon. The interior of the upper two sections had a shaft with a dumbwaiter that was used to transport fuel up to the fire. Staircases allowed visitors and the keepers to climb to the beacon chamber. There, according to reports, a large curved mirror, perhaps made of polished bronze, was used to project the fire's light into a beam. It was said ships could detect the light from the tower at night or the smoke from the fire during the day up to one-hundred miles away. There are stories that this mirror could be used as a weapon to concentrate the sun and set enemy ships ablaze as they approached. Another tale says that it was possible to use the mirror to magnify the image of the city of Constantinople, which was located far across the sea, and observe what was going on there. Both of these stories seem implausible, however. The structure was said to be liberally decorated with statuary including four likenesses of the god Triton on each of the four corners of the roof of the lowest level. Materials recently salvaged from the sea by archeologists, including the stone torso of a woman, seem to support these stories. The lighthouse was apparently a tourist attraction. Food was sold to visitors at the observation platform at the top of the first level. A smaller balcony provided an outlook from the top of the eight-sided tower for those that wanted to make the additional climb. The view from there must have been impressive as it was probably 300 feet above the sea. There were few places in the ancient world where a person could ascend a man-made tower to get such a perspective. 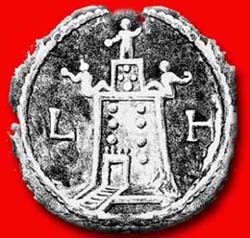 An ancient coin with the likeness of the Pharos on it. How then did the world's first lighthouse wind up on the floor of the Mediterranean Sea? Most accounts indicate that it, like many other ancient buildings, was the victim of earthquakes. It stood for over 1,500 years, apparently surviving a tsunami that hit eastern Mediterranean in 365 AD with minor damage. After that, however, tremors might have been responsible for cracks that appeared in the structure at the end of the10th century and required a restoration that lowered the height of the building by about 70 feet. 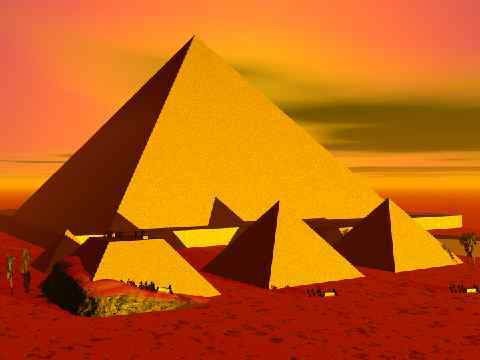 Then in 1303 A.D., a major earthquake shook the region that put the Pharos permanently out of business. Egyptian records indicate the final collapse occurred in 1375, though ruins remained on the site for some time until 1480 when much of the building's stone was used to construct a fortress on the island that still stands today. There is also an unlikely tale that part of the lighthouse was demolished through trickery. 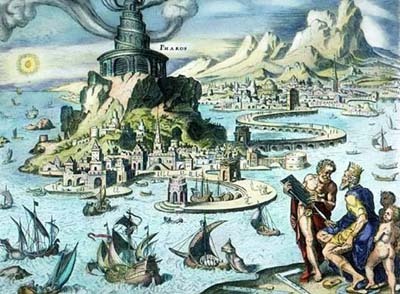 In 850 A.D. it is said that the Emperor of Constantinople, a rival port, devised a clever plot to get rid of the Pharos. He spread rumors that there was a fabulous teasure buried under the lighthouse. When the Caliph at Cairo, who controlled Alexandria at this time heard these rumors, he ordered that the tower be pulled down to get at the treasure. It was only after the great mirror had been destroyed and the top two portions of the tower removed that the Caliph realized he'd been deceived. He tried to rebuild the tower, but couldn't, so he turned it into a mosque instead. 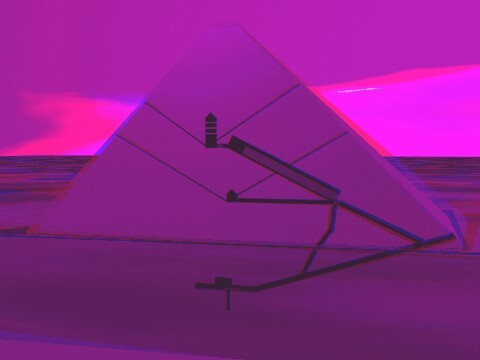 The Pharos at night. Copyright Lee Krystek, 1998. 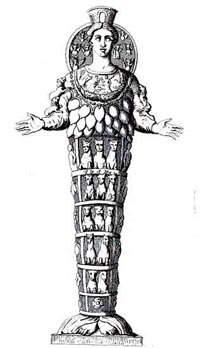 Did the divers actually find the remains of Pharos in the bottom of the harbor? Some of the larger blocks of stone found certainly seem to have come from a huge building. 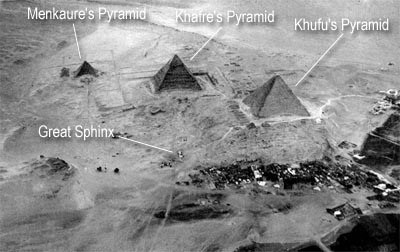 Statues were located that may have stood at the base of the Pharos. Interestingly enough, much of the material found seems to be from earlier eras than the lighthouse. 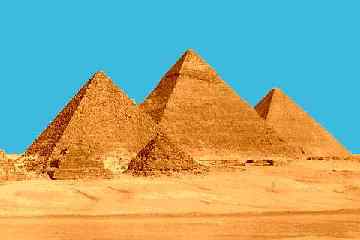 Scientists speculate that these may have been recycled in the construction of the Pharos from an even older building. The area is now an underwater archaeological park. Tourists with diving gear can swim about the remains of the great Pharos lighthouse while they wonder what it would have been like to climb to its ancient heights a thousand years ago.